What do you want from information providers? How about service providers that offer information you need to know to make decisions? Where online travel is concerned, there has been a lot of shakeup of late over these questions. Can you trust reviews? Which OTAs can you trust? We decided to micro-analyze some questions and answers already provided by none other than USA Today, and the leading bosses of your online travel agencies. USA TODAY’s Veronica Gould Stoddart and Roger Yu recently conducted a Q & A with the heads of; Priceline.com, Travelocity Global, Expedia Worldwide (and their TripAdvisor arm), and Orbitz Worldwide. Those CEO answers, to these and more questions, make for a good starting point for what should be a referendum on online hospitality. We decided to take the questions, the answers, and look at what we feel are key points to spotlight. Stoddart’s and Yu’s questions were just that good. Let’s look. Will the Real Service Please Stand Up? If TripAdvisor uses examples like the Clarion Collection Hotel Twentyseven in Copenhagen, on mobile or elsewhere, you simply won’t know any more about this mid range hotel in the heart of the city than any OTA has provided. I paste a screen of the hotel, which Mihaela and I stayed at, as an example of TripAdvisor’s “DEEP” content. I have to admit the the mobile application is useful, especially for location based finding one’s way about, but any suggestion this app “helps” to the extent Kaufer suggests is “extraordinary” – the TA CEO is just advertising another element. Take a look at the fairly deep content for the top attraction in my former home town, Discovery Cove (?) in Orlando. There’s a good deal of readable text, even a map reference and some loose data, there’s even a load of images for the attraction, but even the photos have clearly been optimized for only mobile. Then the big run is, the further one delves into TripAdvisor mobile content, say down to position 19 or so in their ratings (much sooner actually), “content” gets pretty thin. Kaufer’s “Hey Mikie, he likes it” theory does not hold water. TripAdvisor get customers for one reason only, massive SEM and brand outlay. I don’t know about you, but I’ll accept that answer one hell of a lot sooner than what even “appears” to be the runaround. 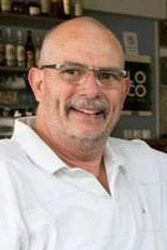 CEO of Travelocity, Carl Sparks chimes in with a big “ditto” on the idea of providing hotel data before ancillary info. However, checking back on Sparks’ assertion, we find TripAdvisor even has as good details as Travelocity. Look at the next two screenshots in succession. Backtracking now on Priceline’s Boyd we find proof in the proverbial pudding. 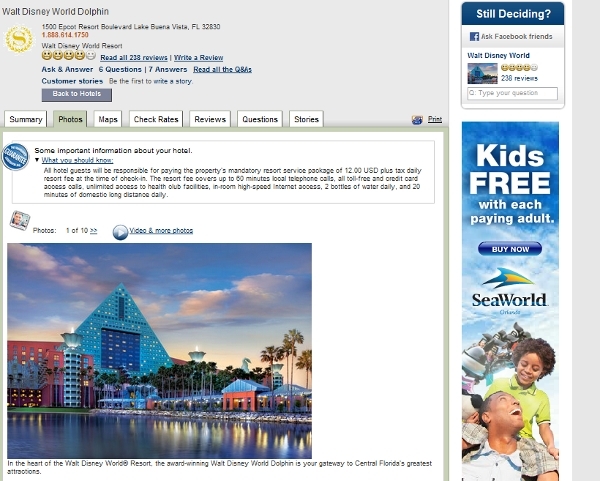 While Priceline.com could use some graphic and UI design, you can tell by the screenshot below, the company has equaled and exceeded TripAdvisor, especially where video and other media are concerned. Like Boyd suggested, the guys William Shatner backs have done the work. If you think about it, would Shatner really back a loser? No. The inherent signal I am getting from Orbitz is, a total disconnect with reality in some ways. Why couldn’t Hartford just say; “We have no clue what we are doing at this point. ?” Their latest release, Gift It Forward, and interestingly, a bazillion articles about the company’s predictions for this and that (and you can’t get the LA Times to cover child abuse in China) – screams Orbitz desperation, for those in close scrutiny. The Huffington Post, UPI, Hugo Martin at the Chicago Tribune, everyone with a keyboard it seems, was dying to report something about Orbitz wonder before Thanksgiving. Maybe their press releases about predictions are just that good? So good in fact, old Hugo hammered out for the LA Times three Orbitz reports in succession between November 14 and 21. One other LA Times reporter covered the pre-release of the report. This makes me wonder if Orbitz depends on the news, or the news depends on Orbitz? 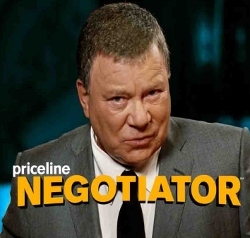 And all you want to know is probably what William Shatner suggested in his very first commercials for Priceline. We’ll have more on this line of questioning later on in the week. For now the nod goes to Princeline, where content is concerned anyway.